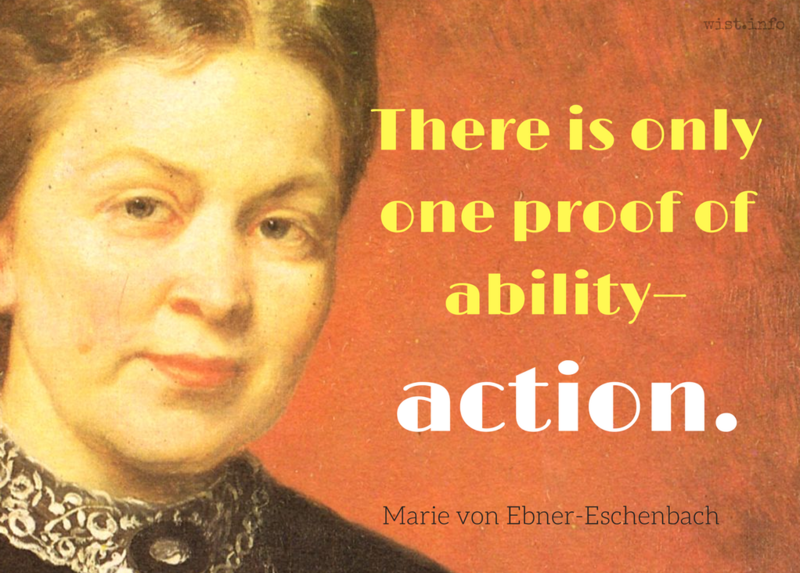 There is only one proof of ability — action. Alt. trans. : "There is only one proof of ability: doing it." As soon as fashion has caught on, it has outlived itself. There are very few honest friends — the demand is not particularly great. The greatest enemy of justice is privilege. To be satisfied with little is hard, to be satisfied with a lot is impossible. Remorse drives the weak to despair and the strong to sainthood. Even in the most wretched being there is a tiny hook on which a thread of salvation could be fastened. I regret nothing, says arrogance; I will regret nothing, says inexperience. Much less evil would be done on earth if evil could not be done in the name of good.